Kick off the summer in earnest by watching some great summer-time flicks. Just as certain books get categorized as “beach reading,” there’s a special kind of movie that’s best described as “summer streaming.” These films can be thrillers or crime stories, based in suspense and mystery, or they can be off-the-radar comedies. They can be small, intimate dramas or big adventure stories. Or they can be socially aware horror movies like The Mist, or a socially aware black comedy like Bulworth, both of which get you thinking while you’re being entertained, keeping us in touch with civilization while drifting off on a short digital vacation. Just past age 60, Warren Beatty co-wrote, co-produced, directed, and starred in this unusual summer movie. Bulworth (1998) sounds like a disaster: Beatty plays the title character, a burned-out senator who is so depressed he buys a life insurance policy and takes out a contract on his own life. Staying awake for days and drinking, he begins scrapping his prepared speeches and telling the (still relevant) truth. He hangs out with members of the black community and even starts rapping! It doesn’t hurt that a beautiful young activist (Halle Berry) becomes interested in him. Exhilarated with his new direction in life, he tries to call off the hit, but it’s too late. The movie must have offended some viewers, but Beatty’s humane treatment of the characters as well as the sheer buzz one can get from his public performances make this a funny, exciting experience. Apparently, President Obama has even referenced the film. Don Cheadle and Oliver Platt co-star. It received an Oscar nomination for Best Original Screenplay. American independent writer/director John Sayles should be considered a national treasure for his literate, humane movies that tell stories of different cultures and times. 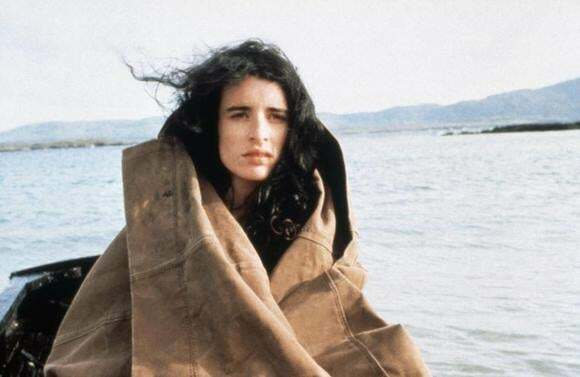 His The Secret of Roan Inish (1995) was perhaps the first of his films with a lyrical, visual quality (thanks to lovely cinematography by Haskell Wexler). It was also the first that could be considered family-friendly, though its thoughtful pacing may bore many of today’s YouTube-savvy children. A girl, Fiona (Jeni Courtney), is sent to live with her grandparents in Ireland, where she hears many stories. One of her ancestors apparently married a “selkie,” or a magical half-seal, half-human being, and so her family has a magical relationship with the sea. Now she believes she has seen her baby brother, lost at sea, playing near the shore. It’s an uncommonly observant and sensitive movie experience. For another movie about “selkies,” see Neil Jordan’s beautiful Ondine (2010). To commemorate the recent landmark decision by the Supreme Court, stream the vibrant, positive portrayal of LGBT life from Australia. Stephan Elliott’s The Adventures of Priscilla, Queen of the Desert (1994) tells the story of a transsexual woman (Terence Stamp) and two drag queens (Hugo Weaving and Guy Pearce) who set out on a four-week road trip across the outback to perform their flamboyant lip-sync show in a casino. As with any road trip movie, they encounter both friendly faces and not-so-friendly ones, though the latter—packed with homophobic hatred—has an extra-hard sting. Nevertheless, the movie is deeply-felt, earnest, colorful, and joyous, and filled with kitschy pop music; it’s a kind of cinematic Pride parade all its own. Though it was released in art houses in the U.S., it was a huge hit in its home country. 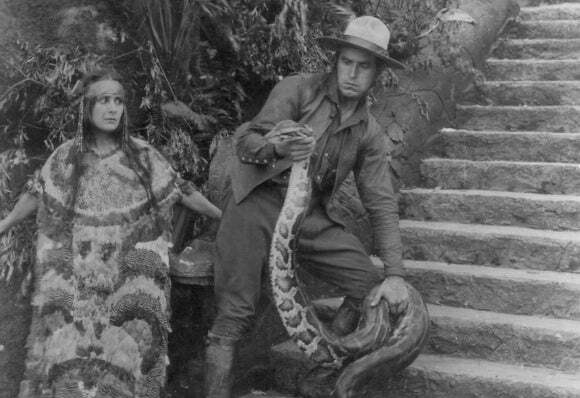 It was Pearce’s debut for U.S. audiences; he next appeared in a completely different role, as Ed Exley in L.A. Confidential. The final film of the great Polish director Krzysztof Kieslowski, Red (1994) is also the third part of the “Three Colors” trilogy. It deepens the experience to see the films in order, starting with Blue (1993) and White (1994), but Red can certainly be enjoyed on its own, and is generally considered the best of the three. It earned three Oscar nominations, for Best Screenplay, Best Cinematography, and Best Director. The gorgeous Irene Jacob stars as a model who accidentally runs over a dog with her car. She discovers that the dog belongs to a judge (Jean-Louis Trintignant), who spends his time eavesdropping on others. As the two become unlikely friends, some of the overheard conversations eventually affect their lives directly. 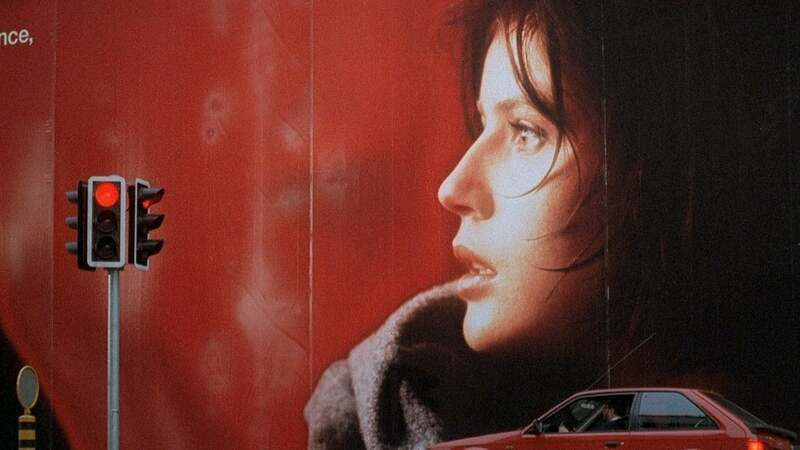 Kieslowski made many movies about the way events unfold over a specific amount of time in specific places, but Red is the most powerful and affecting. Wes Anderson’s debut feature, based on his own short film, could have been lumped in with a whole slew of mid-1990s crime films that tried to ride the wave of success created by Pulp Fiction. It was quirky and funny, centered around a heist, and featured a tough 1970s movie star (James Caan) in a supporting role. 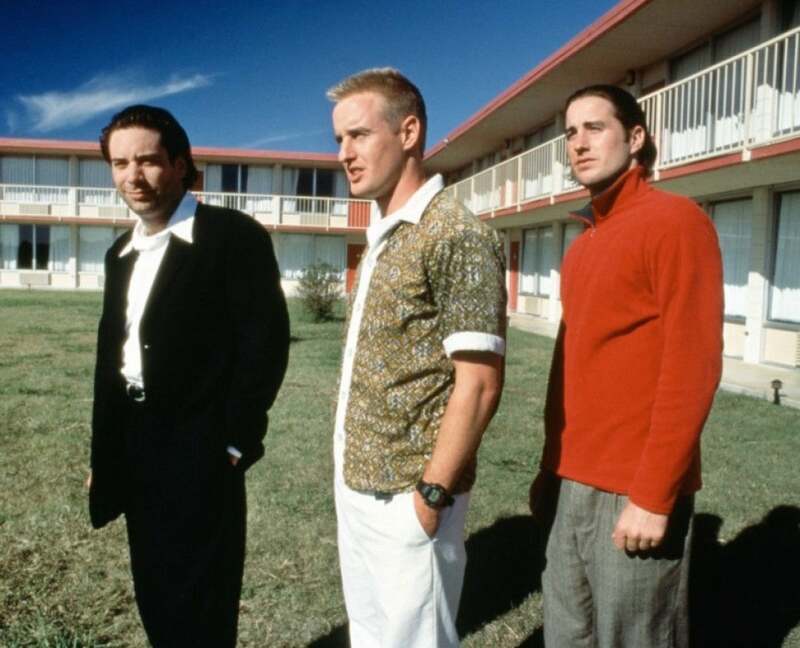 But looking at Bottle Rocket (1996) today, and especially in light of Anderson’s subsequent films, it couldn’t be further away. In fact, it has its own special place among the decade’s most influential films. Brothers Owen and Luke Wilson also make their acting debuts—with Owen co-writing the screenplay with Anderson—telling the story of three friends (Owen, Luke, and Robert Musgrave) who decide to embark on a life of crime. Despite some bungling, they rob a bookstore, and then hide out for a while at a hotel, where Anthony (Luke) falls in love with housekeeper Inez (Lumi Cavazos). The final heist seems to lack Anderson’s later rigorous compositions, but it works, given the hilariously tentative nature of the crime itself. The movie is incredibly low key, but certain line readings have their own potent humor. Bottle Rocket has become a cult favorite. Director Frank Darabont had great success with his first two Stephen King adaptations, The Shawshank Redemption (1994) and The Green Mile (1999). 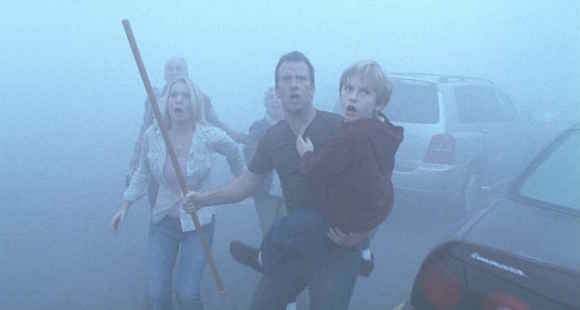 The less-ambitious The Mist (2007), adapted from King’s short story, can seem like a letdown by comparison. But it’s a highly effective chiller, done George A. Romero-style, wherein social problems take precedence over supernatural problems. A group of New Englanders find themselves trapped in a supermarket when a mysterious mist, hiding a race of man-eating monsters, creeps in. Inside the store, the natural leaders—local artist and father (Thomas Jane) and a nerdy, but wise clerk (Toby Jones)—emerge, but a loony religious zealot (Marcia Gay Harden) begins making trouble. Darabont makes the mistake of over-explaining things, and even provides an origin story for the creatures, but none of it detracts from the movie’s creepy suspense. Today it’s a favorite among horror hounds. 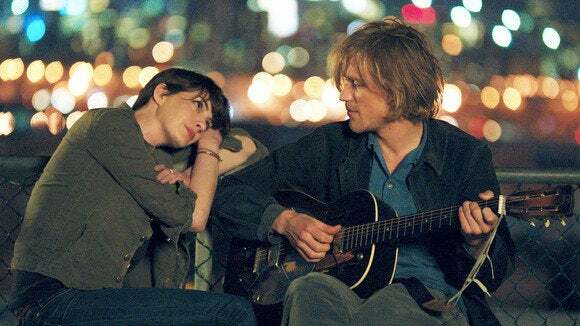 After winning an Oscar for a big, bombastic musical, Anne Hathaway made her producing debut and returned to small, low-key filmmaking with Song One (2015). She plays Franny, an anthropologist doing research in Morocco when she learns that her musician brother Henry (Ben Rosenfield) has been hit by a car and fallen into a coma. Distraught, she finds his journal and begins following it around, going to her brother’s favorite places, and attending a show by his favorite musician, James Forester (Johnny Flynn). She tearfully gives James a CD of her brother’s song, he visits the hospital, and a sweet, slow-moving romance is born. Writer/director Kate Barker-Froyland doesn’t create any ridiculous obstacles for the lovers to overcome—there’s no wedding to break-up and no prom to crash—and instead focuses on the fumblings of two broken hearts, wondering if they should come together. The music is lovely, New York looks sad and lonely, and Mary Steenburgen adds wonderful layers as Franny’s mom, a loopy, scholarly mom who remembers Paris in the 1970s. The late Claude Chabrol was one of the key members of the French New Wave, starting as a film critic in the 1950s, studying the great directors, and then—along with Jean-Luc Godard, Francois Truffaut and others—changing the way films looked and felt in the 1960s. Over the years, Chabrol proved quite prolific and, perhaps in admiration of Alfred Hitchcock and Fritz Lang, remained forever attached to suspense and crime films. He made more than 50 films of consistently high quality, and it’s perhaps for this reason that he’s routinely underrated; it’s hard to pick a single film that could be his masterpiece. Merci pour le chocolat (2000) may or may not qualify, but it’s a good place to start. The great Isabelle Huppert stars as Marie-Claire, a chocolate magnate and the second wife of an accomplished but hangdog pianist, André Polonski (Jacques Dutronc). A young piano student, Jeanne Pollet (Anna Mouglalis), learns that she and Polonski’s son, the brooding, untalented Guillaume (Rodolphe Pauly), were nearly mixed up at the hospital. She visits Polonski and he is immediately taken with her and agrees to give her piano lessons. Meanwhile, Marie-Claire indulges in her habit of serving rich, creamy hot chocolate with sleeping powder slipped in. Adapting an American novel by Charlotte Armstrong, Chabrol doesn’t exactly create an airtight plot here, but he creates such a thick atmosphere of uncertainty that you’ll feel you’ve been spooked. The German-born director Fritz Lang is perhaps best known for Metropolis (1927), though he had a long and very impressive career, with many films about crime and paranoia, made in Germany and in Hollywood. Recently restored, The Spiders (1919) is his first existing feature film, a three-hour adventure story in two parts, and influenced by the French serials of Louis Feuillade. It has an international feel, beginning in San Francisco, where a yachtsman named “Kay Hoog” (Carl de Vogt) discovers a message in a bottle that leads to a lost Incan civilization filled with treasure. An evil organization known as “The Spiders” tries to beat him to it. The young Lang was originally slated to direct The Cabinet of Dr. Caligari, but was re-assigned to this. He’s clearly still learning his craft; his suspense sequences are not as tight as they would be in later films, but the movie is still packed with goodies. There are princesses, kidnapped heiresses, stolen diamonds, an underground city, and a booby-trapped cave; it’s not much of a stretch to guess that the Indiana Jones films were influenced by this movie.